After Muxia, it's a quick stop at Padrón. 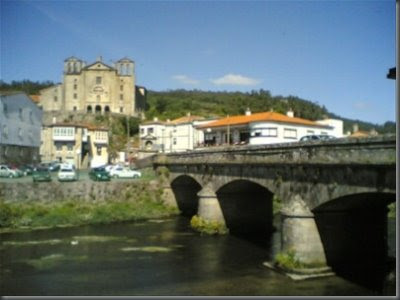 Padrón is a day's walk from Santiago. And Padrón's religious importance? This was where the body of St. James after his martyr was suppose to have been disembarked after being brought back to Spain from Jerusalem. 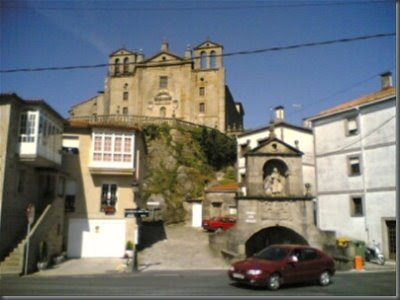 A closer view with church of Santa Maria de Iria on top.